It’s only in the past few years that “social media manager” has become a boilerplate position. While Twitter and Facebook gurus have been around for some time, it’s now standard for any company, no matter how large or small, to start looking around for an expert (or unfortunate “intern”) to start building follower and friend counts. And for many, this works wonderfully. Social media remains the best way to engage with customers and potential customers directly. On top of that, it’s low cost, and has nearly boundless potential if used well. And yet, as companies plow headlong into the sector, far too many still make mistakes. Social media myths abound, and if bought into, can sap precious time and money from unwary businesses. Myth 1: You NEED to Get on [x]! Maybe more of a half-myth. At this stage, I would argue that there are social media networks that every online company needs to pay attention to. Twitter, Facebook, Linked, Google+ – these major platforms pay major dividends (yes, even Google+), in how both clients and search engines treat your company, and should be priorities for anyone interested in establishing a social media presence. On the other hand, there are plenty of networks that aren’t for everyone. 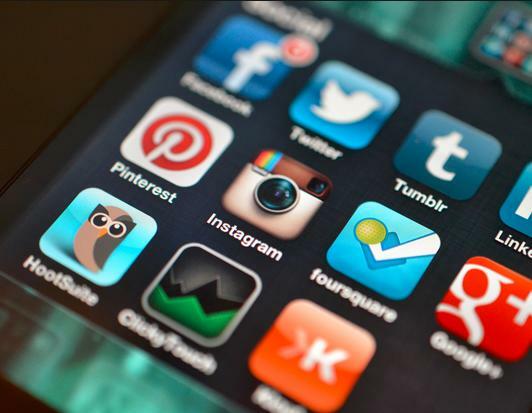 Visual content tools, such as Instagram, Periscope, or Vine can be tricky to use effectively. Do they have value to some companies? Absolutely, but you may not be one of them. When looking at more specialized channels, ask yourself: do they fit my brand? If you simply can’t imagine creating good content for a given channel, don’t set it up just for the sake of having it. Unproductive channels are an energy sink and, if discovered by customers, make your company look inactive or worse, boring. One of the golden rules of social media use is to be active and engaging. So yes, converse, create, post, tweet, all of that – but don’t confuse low-yield noise with gainful activity. There’s no surer way to look like a Twitter amateur than filling your feed up with empty retweets. Retweets have their place, but you need to remember that they’re another poster’s content, not yours. Overuse them, and you risk erasing your own social media personality. If you do go heavy on the RT’s, Twitter’s new RT with comment option is a wonderful way to stay in the conversation. Same goes for overly generic posts. “Happy [insert holiday]” posts are the last refuge of the idea-strapped. Don’t take these easy ways out; you have value on social media if you offer something – insight, ideas, pictures – that no one else can. Lazily jumping on a bandwagon might earn you a favorite or two, but it’s not worth the dead weight you’re dumping onto your own feed. Way too many people get involved with social media with an “acquire customers” mindset. Frankly, that’s a toxic attitude. I’m not saying that you shouldn’t start channels with an eye towards increasing sales, but if you let that tone leak into your posts, you’ll find yourself going nowhere fast. Social media gives companies an unprecedented opportunity to speak directly to other people. And chew on this: most of those people have already interacted with you. So interact some more; talk directly, share valuable or useful information, offer deals and upgrades – in short, reward these people for caring enough to pay attention to you. Establish a positive reputation, and your social buddies will spread it. If anyone in this equation is finding you new customers, it’s your existing followers, not you. Even if your social accounts are myth busted and up to date, it’s important to remember that this is an industry that change in a heartbeat. While I think these particular myths will remain applicable for quite some time, the social media landscape is far from static. Stay abreast of emerging trends, and don’t skimp on research – it’s the only way to avoid new pitfalls. Charles Dearing writes for www.patientsites.com knows his way around online marketing, and is a frequent contributor to business blogs and other publications.